What are SMART repairs and how can you benefit from them? In the last 10 years or so the SMART repair industry has taken off. SMART stands for Small and Medium Area Repair Technique. It has reduced the need to always visit a traditional bodyshop for light repairs. Some SMART repairs can be undertaken at a bodyshop, whereas others are done by specialist SMART repairers. They are often mobile so they can come to you to carry out the repairs. The benefits of SMART repairs are that they are usually cheaper than going to a bodyshop, because only a small area has to be repaired. Don’t be put off by the low price – it shouldn’t mean you get a low quality job; SMART repairs are just cheaper to carry out. There’s no need to pay for the whole side of your car’s body panels to be painted because of a dent in your door or a scratched bumper. 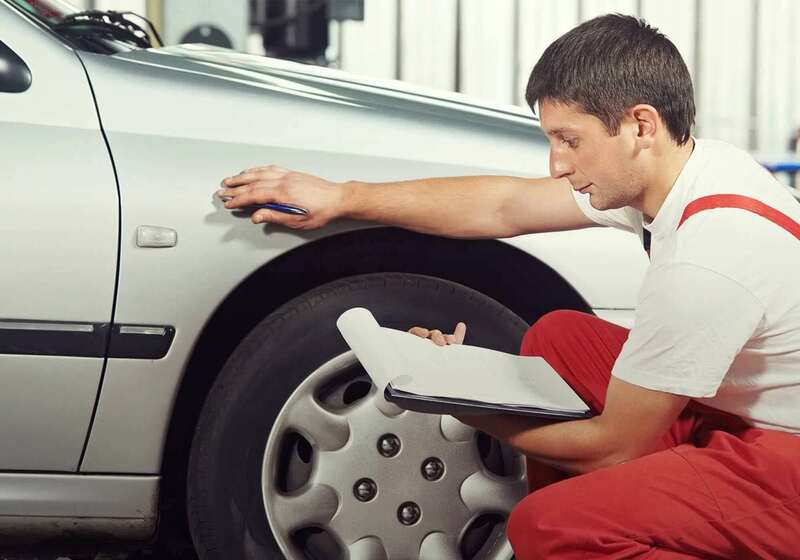 They are also usually quick, and if you use a mobile SMART repair service they can come to you and fix your car at your home, so there’s hardly any inconvenience. SMART repairs are always completed on the same day as they’re started. Another major benefit of SMART repairs is that due to the lower cost you might choose not to make a claim through your insurance. This means that you will not lose your No Claim Discount. Remember: if you’re insured with insurethebox and you have an accident, you must call us on 0333 103 0030, even if you don’t want to make a claim. One time that you could make use of SMART repairs is when you’re selling your car. You might be able to live with a scuff or two but it can harm the resale value of your car. If a potential buyer spots dents or chips in your paint it might put them off. How do SMART repairs work? The work that needs to be done will depend on the damage to your car. If you have a small dent that hasn’t affected the paintwork, paintless dent removal could be used. This is where the damaged area is gently manipulated to remove the dent without the use of filler or paint. If your paintwork has been damaged then filler and paint is required. The damaged area is sanded and then filled before being dried with a heater. The whole area is then rubbed down before being spray painted, lacquered and polished up so it looks as good as new. 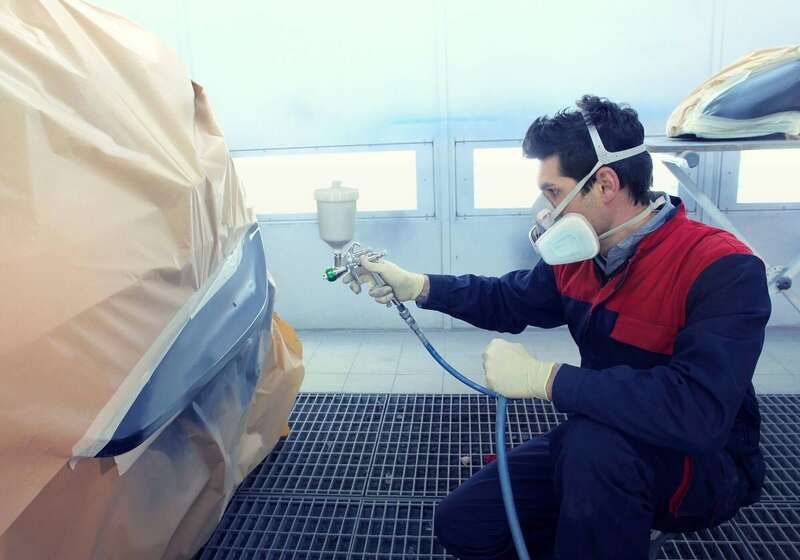 SMART repairers use paints that are virtually identical to the colour that’s on your car now. This means there’s no need to repaint the entire car, which can cost loads of money. If your car is damaged it is often covered by your insurance. Check your Insurance Certificate and Policy Document to find out exactly what you are covered for and in which circumstances. If you’re insured by insurethebox, we’ll pay either the cost of repairs to your car if it would cost less than the value of your car, or pay you the value of your car minus any required excess if it’s not economical to repair your car. If the damage is not your fault, and it’s more likely than not that we’ll be able to recover the cost of repairs from the other person’s insurance company, then you won’t have to pay any excess. Often damage occurs while your car is parked and the driver isn’t always honest enough to leave a note with their details on. If you don’t know who damaged your car, it will go down as a ‘fault claim’ so you’ll have to pay the excess shown on your Schedule and you’ll lose your No Claim Discount. This is where SMART repairs can be a great option. The cost of the repair may be less than your excess so you might prefer not to make a claim. SMART repairs can be a good alternative to going through a dealership or paying for expensive bodyshop services. If you need to sort out any damage to your car it’s a good idea to weigh up your options, and choose the best one for you and your finances. If you’ve had an accident please call us as soon as possible on 0333 103 0030. Find out more about making a claim. If you haven’t had an accident but you need repairs to your car and think SMART repairs might be a good option, we can recommend Nationwide Mobile Repairs. Just give them a call on 01606 562213 (open Monday-Friday 8am-8pm and Saturday 8am-1pm).